Wei Laboratories is a company that stands apart from all the rest. As where other companies have great products, unless you treat with a Holistic/Alternative Medicine doctor like Dr. Filippini to fix the underlying causes of your condition, you would need to continue using the products for life. Wei Labs products are designed to correct the underlying issues of things like: cardiovascular disease, digestive disorders, cancer, kidney and bladder disorders, liver and gallbladder disorders, respiratory disorders such as COPD and musculoskeletal issues. Instead of taking their products for life, most only need to be taken for 1-2 months! 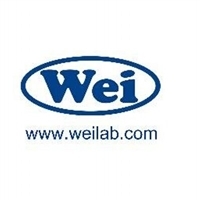 Wei Labs boasts a 92-95% success rate with the use of their products! No other company in the entire world can say that! Airgen helps remove heat in the pharynx, larynx, and trachea in the upper respiratory tract and reduces their inflammation. It also helps enhance the Qi, promotes blood flow to the upper respiratory tract, and repairs damaged tissue caused by the inflammation. Anemic nurtures the blood. It helps improve blood cell production including red blood cells by the bone marrow. Apro Nasal Oil is an externally applied liquid product that helps clear nasal heat. It helps reduce nasal inflammation caused by allergies or sinusitis. 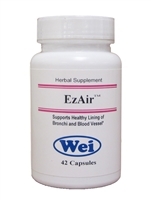 Breez helps clear liver wind which is a restriction in blood flow to the bronchi and muscles due to the tightening of the muscles surrounding the blood vessels. B&B helps descend the stomach Qi. It improves gastric emptying process and intestinal contraction. B&B helps alleviate burping, bloating, poor appetite, and excessive gas formation due to poor intestinal contractions. Patients can see symptom improvement in 1-3 days. B&B is stronger than Formula B. Blood Tonic nurtures the blood and removes blood stagnation. It helps improve red blood quality and improve blood circulation. Cellgen nurtures Kidney Yang. It promotes tissue regeneration, repairs cellular damage, and reverses tissue degeneration. ZY is also recommended to nurture the kidney water and improve lubrication. If patients have heat toxin such as infection, Cellgen may aggravate the infection and it should be used with heat toxin removal formulas. LifeGen helps smooth and strengthen liver Qi and resolve liver Qi stagnation. It helps improve blood flow to the limbic system and nurture the brain center which is responsible for motivation, emotions, learning, and memory. Brown, LC Balancer, and Xcel are required to improve liver and kidney function. Luminen enhances and descends stomach Qi. It helps improve the function of the enteric nervous system of the stomach to regulate the gastric emptying process. It also removes liver heat caused by alcohol consumption and helps improve conditions with both gastrointestinal and liver symptoms. MayMay helps warm up the uterus and remove coldness from the uterus. It helps enhance blood flow to female organs including the uterus and ovaries to improve their metabolism. Brown and LC Balancer are also required to enhance liver and kidney function for effective metabolic waste removal for patients over 40 or with liver or kidney deficiencies. Millennium nurtures heart Yin and blood Yin. It helps improve the heart function and sinus function. Myogen nurtures heart Yang and cleans cold damp in the heart. It helps improve blood flow to the heart muscle and clear inflammation, infection and toxic metabolic wastes accumulated in the heart and pericardium. B-2 is also required to help clear the waste from muscles. CV and Qi Booster are also required. Without the use of B-2, the toxic wastes released from the heart can be retained in the muscles causing fatigue, muscle weakness, body heaviness, headaches, and insomnia. As toxic metabolic wastes are released to the blood, the patient’s urine may become smellier and darker. NewBase helps nurture Kidney Yin and remove kidney deficiency heat. Kidney deficiency heat refers to an empty heat caused by Yin deficiencies. Kidneys can develop deficiency heat after overworking for too long and can’t slow down. Patients may experience kidney Yin deficiency symptoms including inability to relax, mental restlessness, agitation and poor control of emotions, as well as kidney heat symptoms including excessive sweating, fever, or chills. Nuresis arrests kidney leakage, or discharge and warms up the kidneys. It helps improve the neural function that controls urination. Nova removes blood stasis caused by blood stagnation. It helps dissolve blood clots in blood vessels.